NEW DELHI - The global energy watchdog International Energy Agency (IEA) has called India's electrification of every village the greatest success story of 2018. In its latest report, World Energy Outlook 2018, the IEA has called India a "star performer" in terms of achieving the big milestone of the providing power to each village. "In particular, one of the greatest success stories in access to energy in 2018 was India completing the electrification of all of its villages," said the IEA. It added that countries like Indonesia and Bangladesh have also achieved the commendable electrification rate of 95% (up from 50% in 2000), and 80% (up from 20% in 2000), respectively. This 643-page report by the IEA says over 120 million people worldwide gained access to electricity in 2017. For the first time ever, the total number of people without access fell below 1 billion, it said. 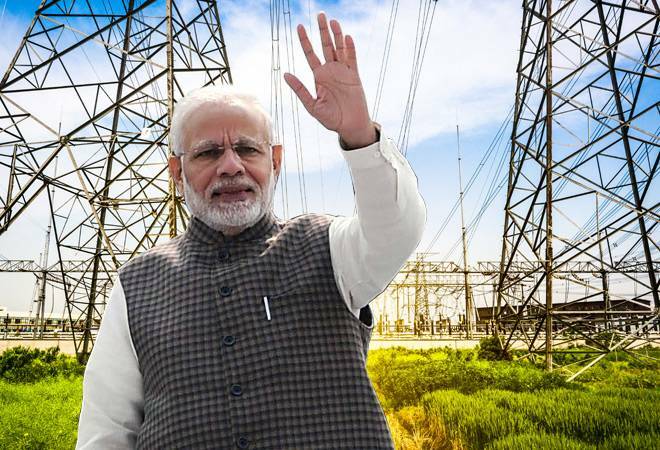 The mega plan of providing electricity to 597,464 villages in India was announced by Prime Minister Narendra Modi during his Independence Day speech in 2015. On April 28, 2018, PM Modi confirmed that India had achieved its goal ahead of schedule. "This is one of the greatest achievements in the history of energy," said the IEA. Praising the Narendra Modi government for making efforts towards lighting up every village in India, the agency said: "Since 2000 around half a billion people have gained access to electricity in India, with political effort over the last five years significantly accelerating progress." India's achievement of providing universal household electricity access will improve the lives of over 230 million people, said the IEA. For a start, electric lighting makes the use of candles, kerosene and other polluting fuels for lighting redundant, not only saving money (and providing more light) but also seriously improving health, it said. Though the global energy agency has called India "a success story", and a "bright spot for energy access", it says huge challenges remain in other regions of the world where over 670 million people still live without electricity access. "90% of these people are concentrated in sub-Saharan Africa," said the report. Seven decades after independence and nearly three decades after India's economic liberalisation, the Modi government achieved the historic milestone of giving power to every single village of India, 12 days ahead of the deadline set by PM Modi. Leisang in Manipur became the last village to be connected to the grid. The agency also praised India for tackling a related problem: access to clean cooking facilities. "While an estimated 780 million people in India rely on biomass for cooking, progress is emerging, as India is one of the few countries in the world targeting this "blind spot" of energy policy," it said. Around 36 million LPG connections have been made since Prime Minister Modi and Minister for Petroleum and Natural Gas, Dharmendra Pradhan, launched the Pradhan Mantri Ujjwala Yojana scheme in May 2016 to provide free connections to families living below the poverty line. In India, around 50 million free LPG stoves and initial refills have been provided to poor households via this scheme since 2015. The government has set a target of providing LPG connections to 80 million households by 2020.